Mesquite is a town that thrives on good times. Guests come for the sunshine and outdoor sports, but January provides some extra twists that double the fun. January 15-17 brings the roar of engines to Mesquite Boulevard as Mesquite Motor Mania returns to town. 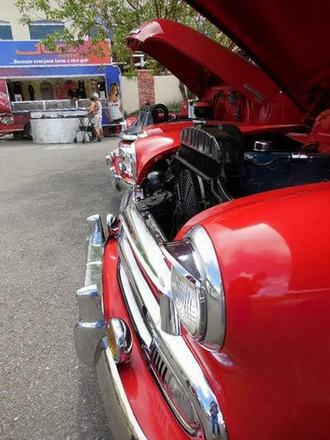 This classic car show is open to all comers — trucks, early classics, hotrods, rat rods, muscle cars are welcome to enter the show and cruise down memory lane. This is an extremely popular FREE event, drawing thousands of car enthusiasts. The good news is, the Show and Shine locations for the show are scattered throughout Mesquite at all the Mesquite Resort Association hotels. Everyone has a great opportunity to check out the flashy rides and vote for their favorites. MMM participants are eligible for $15,000 in drawing prizes, trophies, and tons of fun. Slow drags and Roaring engine contests keep the crowd entertained throughout the weekend. This is a great spectator event for all ages. Live entertainment and great dining round out the weekend events. 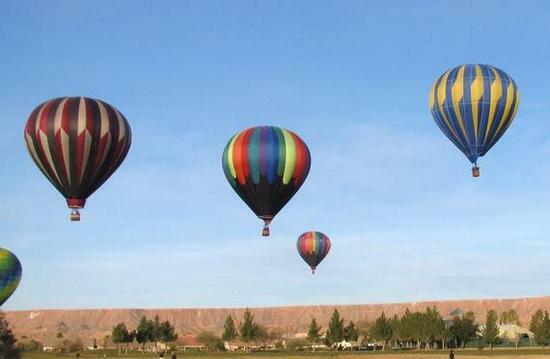 The Mesquite Balloon Festival lifts off January 23-24. This glorious spectacle is a real crowd-pleaser, and a “don’t miss” event for all. Volunteers are being solicited to help the flight crews. Go to casablancaresort.com and click on “volunteer” under the festival listing on the events calendar. Learning to unpack and help launch a hot air balloon is a real kick! Sometimes the pilots are able to offer rides to volunteers. Weather must cooperate for a successful launch, and upper atmosphere winds are a consideration. With 6 a.m. set up and 7:30 a.m. lift off scheduled Saturday and Sunday, early birds are the ones who thrill to the sight of the launch of up to 50 beautiful balloons. Balloonists offer a flight demonstration at the local elementary school on Friday, and flights for the field of participants fill the weekend. A Champagne tasting party and balloon glow at the CasaBlanca Resort parking lot on Saturday night make this one of the most festive events of Mesquite’s winter season. A Neil Diamond Tribute concert tops off the evening at the CasaBlanca Show Room. Balloon events are free to the public; concert tickets and room reservations can be booked through mesquitegaming.com, or call 877-GETAWAY, (438-2929). Mesquite is the place for fun for everyone. Mesquite is a top golf resort, known for hosting golf and sporting events for athletes and sports enthusiasts with disabilities. The Eureka Casino Resort is pleased to offer a Paramobile vehicle for wheelchair golfers. This vehicle allows those golfers to stand up to take their golf swings, letting them fully participate in the sport. The Eureka is the first resort in the U.S. to provide this amenity free of charge to its guests, funded through the Eureka Community Initiative Foundation. Advance scheduling for the Paramobile can be done by calling 866-582-5386, or emailing golf@eurekamesquite.com.